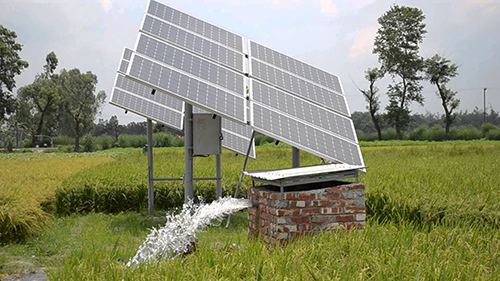 In a big effort to cut down on energy consumption, Kerala’s Agriculture Department has decided to irrigate sprawling paddy fields with solar energy. The task of preparing detailed report has been given to Raidco Kerala Ltd. In the first phase, the project will be implemented in the kole fields of Thrissur and Malappuram. The sector still uses the age-old conventional ‘petti-para’ system to flush out water from the kole fields in the beginning of the farming season. The department has identified 61 paddy clusters, four in Thrissur and 57 in Malappuram, to install solar power panels. The primary focus of the solar energy programme under ‘Akash Jyoti’ project will be to meet the energy requirements of the farming sector. The state can save around `10 crore as power tariff in Ponnani kole field alone every year.